Due to either long office hours, or hard workouts at the gym, back pain is one of the most frequent problems reported by the vast majority of American citizens. So that you can reduce that tension, we are going to help you pick the best back massager out there. 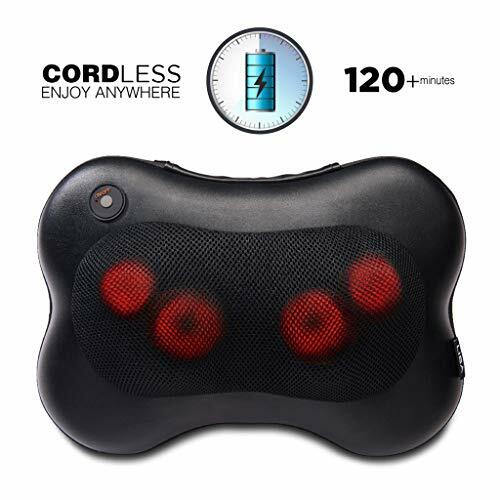 These top 11 best back massagers on the market include personal handheld devices, cushion and chair massagers, and even electric shiatsu massagers. For your convenience, you can order any of these devices online, and use them at home, at the office, or in your car. If you’re looking for the best back massager that doesn’t require electricity as is also inexpensive, the Gaiam Pressure Point Massager is a safe bet. This handheld device targets pressure points while alleviating spasming, tight knots, and sore muscles. A favorite tool among athletes, the Gaiam Pressure Point Massager does a great job on strains or sports injuries. A simple, yet efficient massager, this tool stimulates tissue, promoting blood flow. Your muscles will benefit from pressure point massaging. The tool is easy-to-use, with an 18-inch long roller, two grip handles, and a total weight of only 0.55lbs. It is also one of the best deep tissue massager options – affordable and easy to use. The Gideon seat massager comes with ten separate vibrating points that help dig deep into your tensed back. 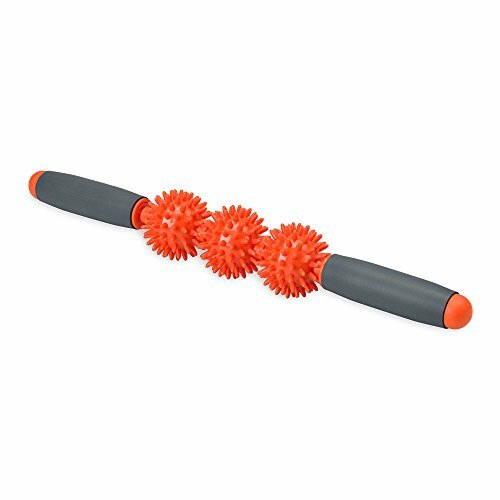 This back massager will help you release most of the tension and aches accumulated during the day. It comes with heat therapy, as it radiates a warmth that helps soothe tightened muscles. Aside from the fact that the Gideon has four intensity settings and four massage modes (kneading, pulsating, rolling, and tapping), it also allows you to select the precise point you want to get massaged: lower back, upper back, thighs, and hips. All ten points can be combined and run independently in any combination. 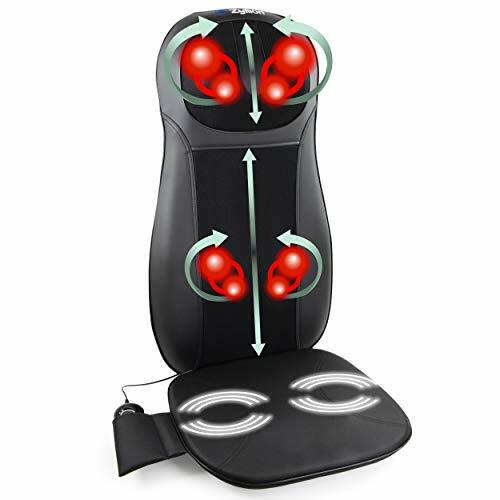 It is the best back massager for chair in our top. You can attach it to any and all chairs, and hold firmly in place. The Wahl massager is perhaps the best handheld back massager on this list. The variable intensity of the device allows for any type of massage experience, while the percussion technology promotes deep relaxation. It also helps relieve all types of muscle soreness or tightness. 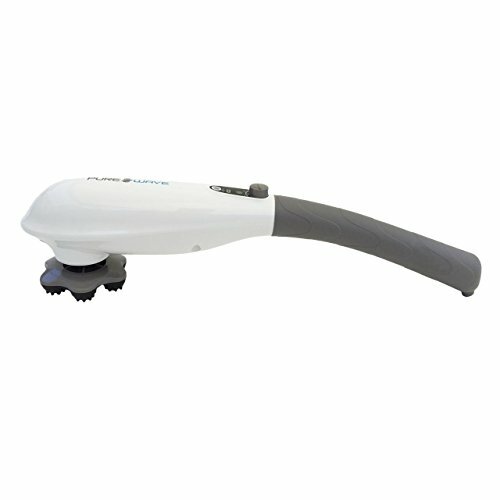 Its very powerful motor allows this massager to produce up to 3,350 pulses per minute. The four attachments are what help this product belong on this list of the best back massager reviews. The Deep Muscle, The Accupoint, the Four Finger Flex, and the Wide Flat Disk are the four attachments that sound familiar to any massage connoisseur. The ZMA-14-BK is just the first entry by Zyllion on this list, and a lower back massager with heat. 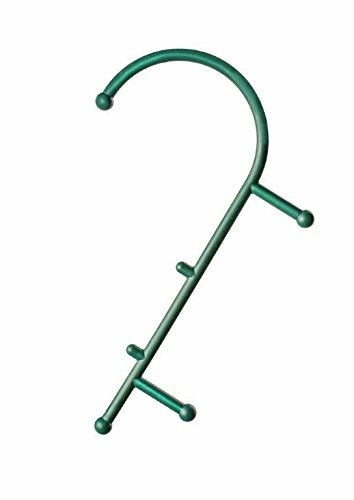 This back massager is perfect for removing nodes and cricks from your back, neck, and lumbar area. 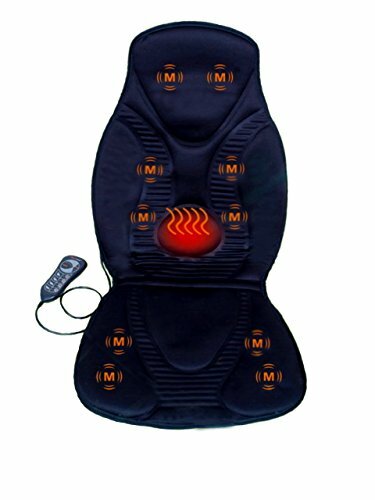 The seat cushion offers three levels of vibration massage, as well as four different Shiatsu massage nodes. It offers perhaps one of the most customizable massage experiences outside of a massage salon, having a very impressive level of customizability. Users can also very easily attach it to any sort of chair. This cane-shaped, handheld massager is ideal for easing any sort of backache and pain. Perfect for use after a long day of work and strenuous activities, the Thera Cane Massager has two strategically places protrusions and six treatment balls. It measures 24 x 15 x 1 inches, and comes with a lifetime guarantee. Ideal for breaking up adhesions in your muscle fibers, it is the perfect muscle toner for any recurring injury, active afternoon, or a long day spent working. This number 6 best back massager helps maximize the flow of oxygenated blood. This product is the best Shiatsu back/neck massager belt on our list. An interesting idea, this massager has no cords, which makes it 100% portable. The battery is rechargeable, and it lasts for about 2 hours, which is more than enough for a superb massage. The massage motors contained in this belt are really strong, and they go both clockwise and counterclockwise. They relieve pain effectively, and calm sore muscles. You can use this massager belt both as it is, or with the heat option on, for a deep tissue massage. The FS8812 is the last chair massager on this list, and the best back massager for chair that you can use in your car. This massager has ten different vibration motors that can invigorate the neck, back, and thighs of the person getting the massage with a very soothing source of heat. It is portable, and easy-to-use in a car, at the office, or at home. It also comes with a car and AC adapter included in the package. It is able to offer a relaxing massage to four different areas of the body – the neck, shoulder, and upper arms, the middle back, the lumbar and lower back, as well as the thighs. It comes with a remote control, four different massage programs, three different massage speeds, and an independent on/off heat button. Boasting power, versatility, and efficiency, the Pure-Wave CM7 Cordless Massager is very lightweight. You can use it at various speed levels on the entire body. The CM7 is perfect for relieving tension in stubborn knots, for soothing muscle spasms, and for alleviating the stiffness in tight joints. Equipped with six massage sticks, the Pure-Wave cordless massager suits the needs of the different affected body areas, allowing you to adjust both the massage style and intensity (firm, medium, or soft). The third best electric back massager on this list, this LiBa product also happens to give way to a couple of pillow shiatsu massagers with heated balls. The ergonomic design allows it to fit the curve of your back, neck, abdomen, thighs, and calves perfectly. It is very easy to carry, and it comes with a free car adapter. The special technology, which features heated balls, simulates a hot stone massage almost perfectly. Plus, it is very customizable, allowing you to modify the heat settings however you want. It also comes with a 3-year warranty and a 90-day money back guarantee. 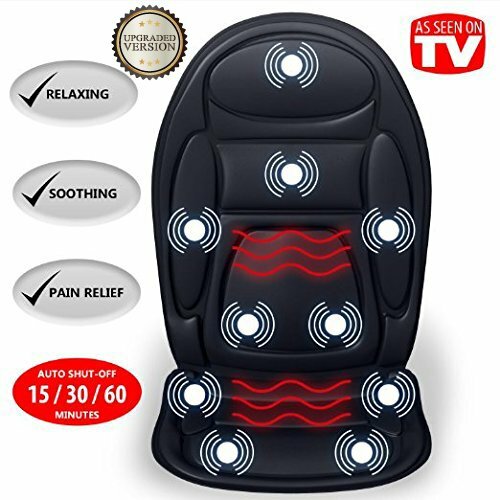 The only reason this isn’t the best back massager on this list is that there are two more that do the same things, but better. 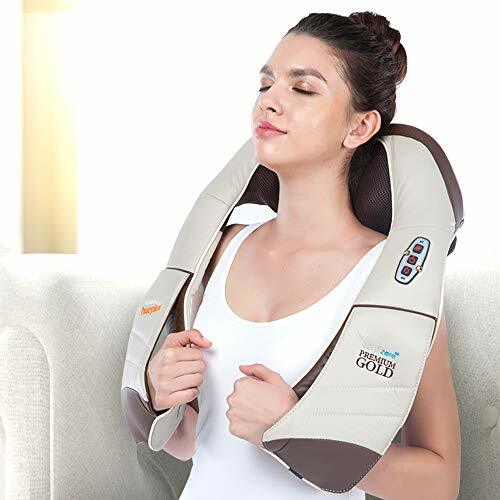 Note: You cannot purchase the LiBa Shiatsu neck and back massager pillow at this time, but the next product on our list is its new and improved version, so we recommend you check that one out. 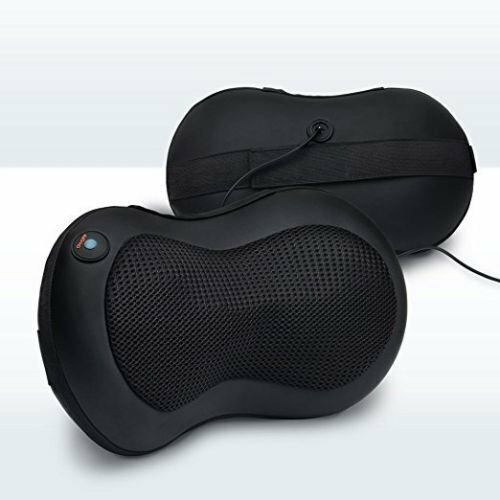 What makes the LiBa cordless Shiatsu neck, shoulder, and back massager pillow better than its predecessor? Well, mainly the fact that it is cordless. This makes it easy for you to carry it around without having to constantly look for an outlet. Another reason why this is the second best back massager on this list is its heat mode. The pillow comes with adjustable straps that you can use to attach it to your desk chair or your car chair. The massage motors are stronger than what you typically see in a massage pillow. Plus, every minute, the pillow changes the direction of the massage to make sure it relieves the pain in your entire back. The Zyllion is definitely here to take home the cake. 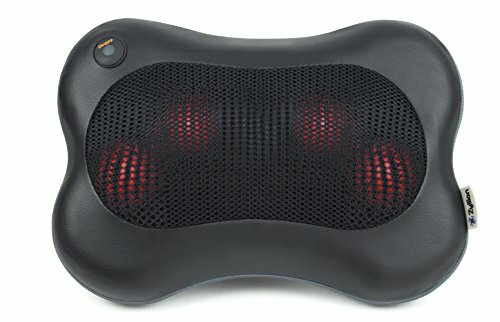 It is not only the best back massager for lower back pain, but simply the best back massager out there. The ZMA-13-BK comes with an adjustable strap, which you can secure to any type of chair. The heating function works to soothe aching muscles, as well as to simulate a hot stone massage. It comes with an Overheat Protection Device, which shuts it down after twenty minutes to prevent safety issues. It also has a one-year warranty. We hope we’ve managed to help you pick the best lower back and upper back massager out there that perfectly suits your needs (home, office, car). If you’re experiencing back pain caused by too much sitting, take a look at our best orthopedic seat cushions top. Please leave a message telling us if there are any other back massagers we’ve left out. Sweet selection of back massagers. When it comes to the best back massager, you’ll know what you need as far as particular body areas in need of a good massage so there are many good ones to choose from. I’ve used back massagers and they are a wonderful gift for yourself that will increase your quality of life. Just 10-15 minutes using one will reenergize you after a long day. Thank you for your comment! We’re happy we could be of help. 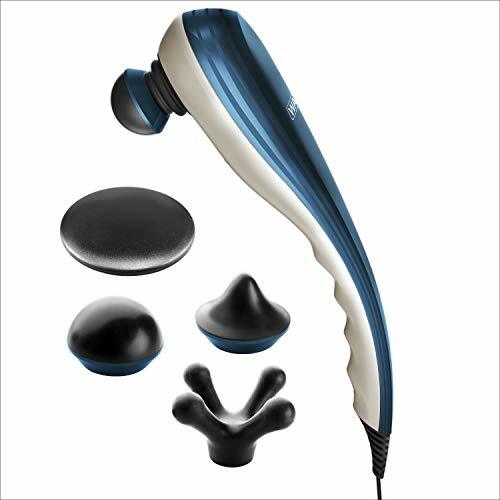 The Pure-Wave CM7 Cordless Massager looks appealing, but I’m more a fan of the cushion style massagers such as the Five Star Massage Seat Cushion and the Zyllion Massager Cushion. When someone asks me what the best back massager is, I usually go with something I can sit back in and relax, especially after clearing snow from the driveway. Whoever made this list really looked high and low. When I come home from work, I can really use a good massage. Unfortunately, I don’t have the time (or money) to get a professional one all the time (although they are nice). In the past, back massagers have been a problem because of the troublesome power cords. This list of the best back massagers shows there are many cordless options and they look soooo good. Amazon here I come.